Today I want to share with you something I am very excited about. I am so excited I almost can hardly even stand it! Do you remember my post about DREAMS? "that is a cool shot"
"way to capture the moment"
Well, today I am excited because I am moving closer to that dream. The other night I was chatting online with a friend and admiring "his work." I mentioned I wanted to learn and grow in photography. He then simply said "I can teach you, I like to teach." This was just such an unexpected blessing from the Lord. Not even a spoken prayer request. Just a dream tucked away in my heart. I am all ready working on my first assignment. I have even learned some new things and skills about my camera. I am having so much fun!!! Noah, my sweet little artist, is even getting in on the action, and we are learning together. It has been so nice to have an enjoyable focus in my life. Thank you Jesus for caring about something insignificant that is significant to me. Ok, here is some news about the adoption. A dear friend of mine who is in nursing school brought something to my attention last week. She met a woman who has adopted 3 children from the foster to adopt program. When she heard about this she said tell me everything; How did this happen? How much did it cost? etc. etc. This is where it peaked my interest. If you adopt this way there are NO FEES. When she told me this my mouth dropped open. I may have even told her to "shut up" in disbelief. So I called The city Dept. 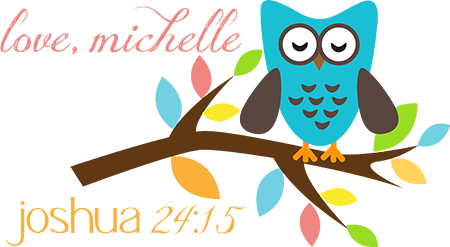 of Social Services and got more information. Eric and I will be going to an orientation meeting on Wednesday to see if this is a fit for our family. Free certainly is. This would allow us to use our savings to pay off some of this Guatemala debt. Some concerns are Legal Risk. It is very possible to bring a child into your home, love them and have to give them back. You also will more than likely have to have visitation with birth families until rights are terminated. Since we began to ponder and pray about this avenue, the Lord has brought 3 women into contact with me and they have been very helpful, honest and encouraging about this process. When we talked to the boys to get their thoughts Elijah said "We should go for it!" "Even if the first one isn't for us then the next one might be and at least we got to love on someone even if for just a little bit." Isn't that such an amazing response? I have such great boys! If this turns out to be our path I am calling my friend our own personal labor and delivery nurse. Tomorrows featured product is MK Mineral powder foundation. 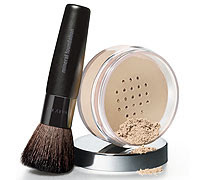 A weightless, skin-perfecting powder foundation that provides buildable coverage. Order before midnight on (2-16-09) from MY PERSONAL WEBSITE and receive 10% off your purchase. Brush sold separately. I really am GIDDY for you!!! How neat that someone has come forward to mentor you with your photography dream AND just in time so when you get your little blessing you can photograph away with a "new eye"
That's very cool Michelle. I have some other info I can give you about that process if you don't know already. Email me. That's great! Excited for you. Cont. to pray that God will lead you. I have this verse in our wedding rings! = ) I dn't know if you knew that! All so exciting! I have an article from Working Mother Mag that helps you spell out a life plan to take the steps to reach your dream...very good stuff! I also have a friend who WAS the photographer for World Wildlife Fund who lives in DC that I KNOW would love to give you some info and answer questions. She is an adoption mommy too and is working with a sudanese woman who just gave birth to 4 little ones...i think. They are desirous to adopt a second time in the states. I'll forward your blog if that is ok with you. Very cool... and also, that nurse lady sounds hot. I took the classes and was ready to adopt this way and then was presented with a privte foster situation ( 4 day old girl) that we are adopting. I have quite a few friends who went this route and have wonderful babies now! Could it be that God has opened two doors at once for you? I'm so excited for you about the photography lessons and the adoption option. I'll be praying and I know you'll keep us posted. Good luck to you Michelle. First off, I need to apologize that I have been a total slacker in the comments department. Second, I think this is so cool. I have been dying to learn more about photography and I think it is an awesome blessing that you are doing this. You'll have to teach me a few tricks.